Katie Torn (b.1982) works with special effects used in the advertisement, film, and video game industries to create hyperreal fairytale spaces that investigate American consumer culture and its impact on both the environment and the individual. 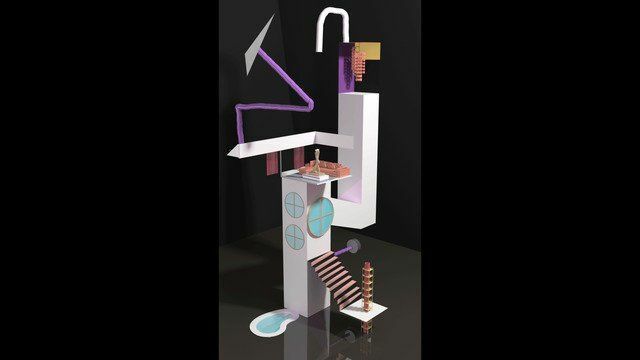 Inspired by how Cubism and Futurism captured the essence of the industrial age, Torn uses new technologies to capture what life is like in the digital age where interacting in a virtual space is an everyday activity. In 2013, Torn was awarded a Fellowship at Eyebeam Art and Technology Centre in New York. Exhibitions of her work include The End of Flutter Valley, UPFOR Gallery, Portland, 2014; Dream House at Eyebeam Storefront, New York and Roots and Culture Contemporary Art Centre, Chicago, both 2013; Post Pictures, Bitforms Gallery, New York, 2013; and Casting a Wide Net, Postmasters Gallery, New York, 2013. Torn has performed a live video piece at VIA Music and New Media Festival, Pittsburgh, 2012; and screened work at The Museum of Contemporary Art, Los Angeles, 2013. Katie Torn lives and works in New York City.